A little girl has many dreams of things she would like to do with her father. She is not able to do them because she has a broken leg. She will have fun when the cast comes off. 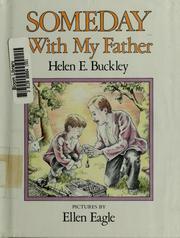 Buckley, Helen E.//Eagle, Eleen, “Someday with my father,” Children's Picture Book Database at Miami University, accessed April 21, 2019, https://dlp.lib.miamioh.edu/picturebook/items/show/7999.